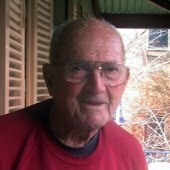 Harry Lapham was born in 1915 and lived all his life in Millers Point. In his interview he recalls many aspects of his long life there, his parents; siblings; work; streetscapes, house interiors, neighbouring families; picnics, sailing, Sydney Harbour Bridge opening; his work for the Sydney City Council; and his approval of the development of the Walsh Bay finger wharves and Darling Harbour. The excerpt below contains just some of his detailed recollections of the shops in Millers Point during his childhood. The first one was on the corner of Bettington Street and Merriman Street. A woman named Mrs Wells had it and she had fruit, vegetables and soft drinks. Every Sunday mum would do all the cooking and do all the cake-making on the Sunday afternoon, and on Sunday morning we had to go up there and get two bottles of soft drink. One had to be Marchant’s Old Style Ginger Beer and the other one could be whatever we wanted. Next door they had a little place, you could go in there and get a mug of lemonade for a penny. George Collins and his sister. Then down on the corner of Dalgety Terrace and Bettington Street was a grocer’s shop. Two English people, Mr and Mrs Harris. They had used to have to measure the butter out, had the box of butter, wooden paddles, scoop it out and weigh it out on the scales – a half a pound or a pound of butter – whatever you wanted. They had the big bags of sugar that they had to weigh out, if you wanted a pound of sugar or two pound of sugar in brown paper bags, they did that. All the other stuff that they had, the groceries, were on shelving. There was one part of the shelving that had tobacco, cigarettes, that sort of thing. On Sunday they had to put a cover over it, they couldn’t sell cigarettes or tobacco on Sundays, it all had to be covered up.